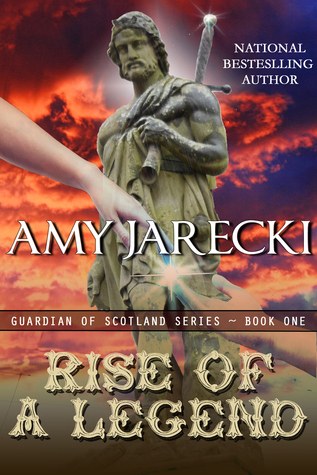 This is book 1 in the Guardian of Scotland series. Eva McKay is on an archaeological dig in Scotland when she unearths the seal of William Wallace. Having always been drawn to this historical figure, she is thrilled with her find. With the help of a stone, Eva is suddenly thrown back in time. She opens her eyes to find herself about to be run through with a sword. Of course, she is rescued by none other than William Wallace himself. Eva soon learns that she must not change history, or she will be sent back to her own time. 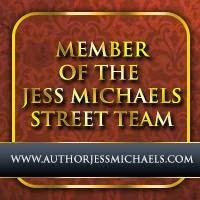 Wanting to learn as much as she can about William, she convinces him to let her travel with him and his group of soldiers. Spending quite a bit of time together, Eva and William fall in love. What will happen to these time-crosses lovers? I would probably classify this as a historical time-travel with a little bit of romance thrown in. If you look up when Wallace dies, you know that they aren't going to get their HEA. For me that is a must when reading a romance. Now having said that, I did enjoy the book. But be warned, it ends abruptly because there is another book that continues their story. There is a ton of history that is told throughout the story and since I didn't know much about this specific time period, it kept me enthralled learning Wallace's history. If you are looking for a purely historical romance, then this is not the book for you. Although there is some romance, it will not satisfy the romantic in you. I definitely look forward to seeing how Jarecki ends this story knowing that Wallace doesn't have a happy ending. Thanks go out to Rapture Books via NetGalley for a copy of the book in exchange of an honest review. Thank you for your insightful review as always, Amy! I agree, this saga is a historical time-travel with romantic elements. Hmm. Book two contains a few surprises, but I don't want to spoil it for anyone! I can't wait to see how this story ends!! Thanks for stopping by! !